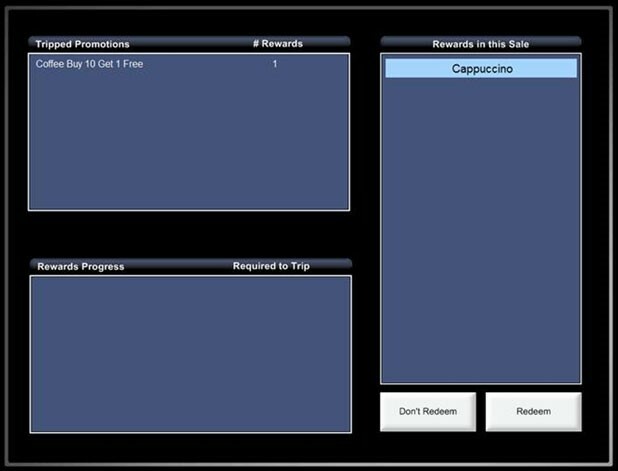 Customer Reward Promotions is a feature within Idealpos to create rewards for customers who are loyal to your outlet. A common use of this system would be a ‘Buy X Coffees get 1 free’ promotion. This system can allow you to track customer spending and keep a record on how many times the rewards are being redeemed allowing you to assess the success of the promotion. Idealpos will keep a record of the customer sales and allow the operator to check if the customer is entitled to any rewards. If the customer has earned a reward and they purchase one of these items, Idealpos will alert the operator that the customer can redeem their reward instead of paying the normal price.